Manheim dealer auctions are among the best-known car dealer auctions, but vehicles for auction are available across the country, at both dealer auctions and auctions open to the general public. From police seizure auctions to dealer auctions, with a range of options in between, there are many benefits to making your next car purchase at an auction. So why should you consider an auction vehicle? Here are some benefits you might not know about. If you choose to attend a dealer auction, you’ll need to seek a dealer license. Every state establishes its own requirements for such licenses, and it can take a while to procure a dealer license. Once you have one, however, you’ll have access to the highest profile and biggest saving dealer vehicle auctions. What if you don’t want to seek a dealer license? You might have other options. Some dealers will provide you live access to the auction, and even buy on your behalf. Online auctions are also an option if you don’t want to go through the hassle of seeking a dealer license or working with a dealer. Undoubtedly the greatest benefit of auctions, whether online vehicle auctions or in person dealer auctions, is the chance to save big. Many cars are repossessed vehicles, impounded cars from police departments, salvage cars declared a total loss by insurers or cars that can otherwise be expected to go for a fraction of the price. 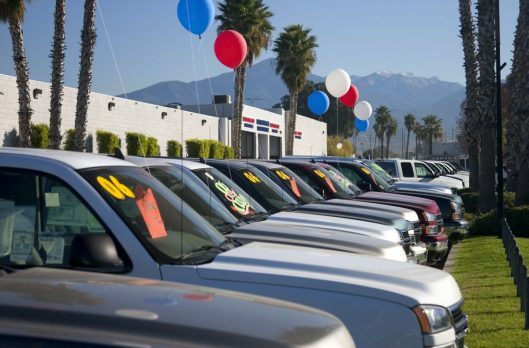 You can save significantly more at an auction than you can at just about any other car sales outlet. Set a clear budget, and don’t go over it. The adrenaline and high stakes of a bidding war can con you into spending more than you otherwise should. Set clear guidelines for what you will and won’t buy. Don’t allow a competitive spirit to urge you to buy more than you need or want. Ensure you can pay in cash since most lenders won’t finance auction vehicles. Do research on the cars you’re considering buying beforehand. You’ll lose time and the chance to win if you’re Googling in the midst of a bidding war. Know how your purchase will be covered by insurance, particularly if you plan to drive the car. Insurers are often reluctant to cover auction vehicles. Know your state’s title laws, and know how to read a sales contract. Every state has its own laws about how title issues have to be handled at vehicle auctions, so knowing the law can help you avoid scams. The world of dealer auctions is like a culture unto itself, with its own rules, leaders, and norms. Attending auctions allows you to network within the industry. This makes it easier to find future auctions, to gain information about which auctions are worth attending and which you should skip, and even find people who might be interested in purchasing cars you buy and sell. You might think networking is a waste of time, particularly if you’re not interested in meeting your competition. But the dealers who are your competition today could be the source of referrals tomorrow. Become well-respected in the community and watch more opportunities become available. One of the great thrills of a vehicle auction is the chance to make a tidy profit renovating an auction vehicle. If you purchase a damaged or old car, you have the chance to fix it up, turn it into a collector’s piece, and sell it for a tidy profit. This strategy, of course, presumes that you’ve done your homework. You must know about any title problems associated with the car. You should also work with a mechanic you trust. And don’t even think about title washing. This illegal process attempts to obscure a vehicle’s history and can land you in serious legal trouble. There’s no telling what you’ll find at a vehicle auction. 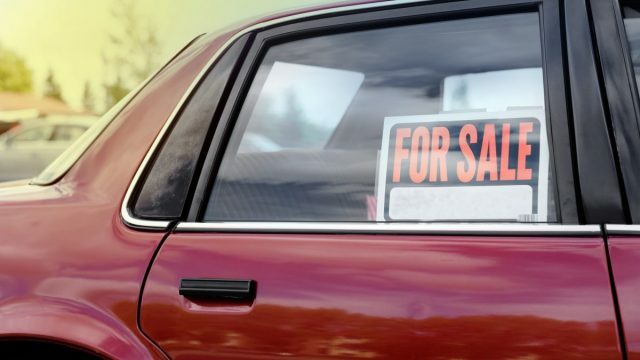 Many cars that can no longer be purchased on the open market are available. From discontinued cars to very expensive brands available at a steep discount, you never know what you’ll find. If you intend to resell the cars, auctions offer a great money-making opportunity, since buyers may be clamoring for a hard to find the vehicle you buy at a steep discount. Vintage car collectors are serious about vehicles, and they’ll pay a hefty price to access to best cars. Whether you’re a collector yourself, or just hoping to make money from other collectors, auction cars are a great place to find collector’s items. And because the cars may be damaged or have title issues, you can often get them at a massive discount. Fix up a vintage car, and you might just end up with a new true love. Or repair damage to the car and put it up for sale. Collectors may pay much more than you ever thought possible. Fun matters. Everyone deserves a little enjoyment in their lives. Car auctions are a great hobby. You’ll learn new skills, meet new people, and maybe even make a little money in the process. If you’re really good at it, you might even find a new career. Fun is never overrated.